After you've completed the Trainer School, Lillie will lead you into Hau'oli City. A cutscene will pan over the city and you'll be given a friendly "Alola" from a woman here. Head left onto the beachfront and grab a Poké Ball. On the main street here you can speak to a lady in white and she'll give you a Potion. 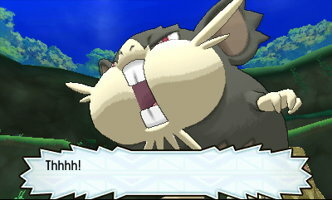 Continue north into the shopping district and you'll be stopped by Hau. He'll take you inside the Tourist Bureau where a clerk will give you the Poké Finder. Test it out at the nearby wall and keep snapping photos to upgrade it to Version 2 (adds zoom ability) if you'd like. Continue north from here and Lillie will stop you to give you the Lens Case. An old woman in green here will give you a Silk Scarf if you speak with her. Keep heading straight and speak to the man wearing a construction hat next to the Pokemon Center to get a Heal Ball. 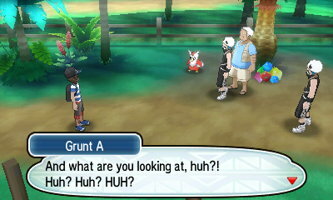 Head south and right to meet up with Hau again. 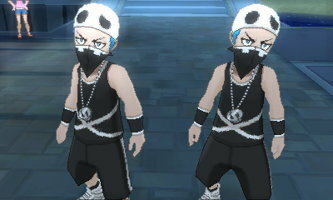 Head right and south towards the Marina Speak to Captain Ilima and you'll quickly be interrupted by a Team Skull grunt that you'll have to defeat. 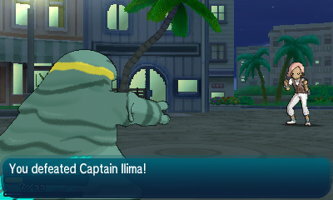 The grunts will run off and Ilima will heal your team. Ilima will then challenge you to battle. He has a Lv. 9 Yungoos and a Lv. 10 Smeargle. Both are Normal type Pokemon weak only to Fighting types. He has a Potion at his disposal, so watch out for that. After defeating Ilima, speak to the couple next to the building for an X Defense and X Attack. Head back north and enter the red gate leading to a field of tall grass. You'll find TM49 - Echoed Voice in an a TM Ball here. 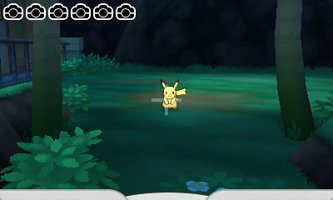 Head back towards the Pokemon Center and heal up. Continue north past the Pokemon Center and Lillie will stop you for some dialogue. You'll run into Hala up ahead. Simply pat the Tauros and continue north onto Route 2. Defeat the female trainer here and continue north. 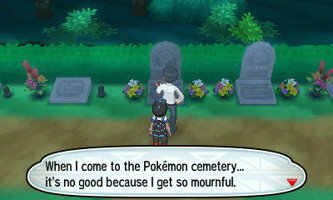 You can head east to the graveyard if you'd like to pick up a few items (TM100 - Confide, a Paralyze Heal, a Big Mushroom, and a Super Potion), battle three trainers, or catch some Ghost type Pokemon. 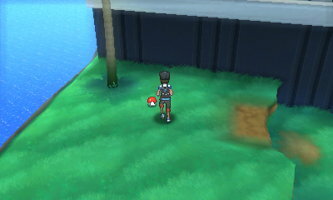 Either way, continue north and then south on a cliff to the right to pick up a Heal Ball. Enter a motel room on the left of the route and speak to the man inside for 2 Nest Balls and then pick up the Super Potion. Continue north, defeating a preschooler, and follow a Delibird right to the Berry Fields. Once in the fields, you'll come across a man being attacked by a few Team Skull thugs. Defeat a thug and his Drowzee and the man will reward you with an Oran Berry. Pick up some other berries under the tree and then head out of the fields and back north. You'll run into another trainer on your way. When you get to the fork in the route, take the north path to battle two trainers and get a Revive or take the south path to battle another trainer and pick up a Super Potion. Enter the Pokemon Center with Hau to get 3 Revives. Grab some berries from under the tree north of the Pokemon Center and then talk to Captain Ilima to the right to begin his trial. Ilima will explain the trial when you enter. Look inside the small den right in front of you to face an Alolan Rattata. Nab the Super Potion as you move right and to the north. Check out the next den and defeat another Alolan Rattata. Investigate the large illuminated rock for a Revive. Head left and to the south for TM31 - Brick Break. Head north and all the way to the right. 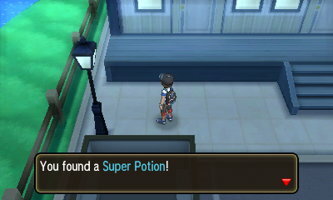 Crawl through the opening and pick up the Super Potion. Check out the den here, but there won't be anything inside. Head north and check out the den here, there's also nothing here. Head to the left-most den and there will once again be nothing inside. Grab the X Defense here, and head back right towards the den we recently checked that started the circle. 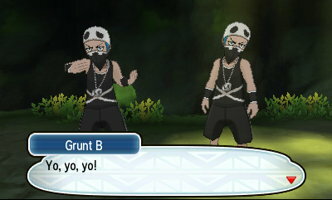 On your way back, you'll be interrupted by some Team Skull Grunts. 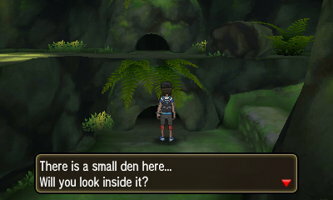 After defeating a grunt, they will actually help you find the last Pokemon by blocking the entrance to the other two dens. Go to the open den and investigate to find an Alolan Raticate. Defeat it and head north to the entrance to the Totem's Den. Take the Z-Crystal from the pedestal straight ahead. You'll be challenged by the Lv. 12 Totem Raticate. He will summon ally Rattata to assist him. Focus on attacking the Totem Raticate or use moves that target more than one opponent. Popplio's Disarming Voice is especially effective. After defeating the Totem Pokemon, you'll get Normalium Z and 10 Great Balls. 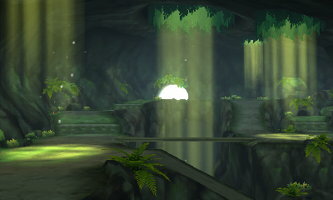 You've now completed the Trial of Ilima in Verdant Cavern.